Do you daydream about packing it all up to jet off to some magical land with rolling green pastures, beautiful lakes, and snow-capped mountains? Same. Quit daydreaming – New Zealand is just across the ditch. If it’s the perfect working holiday you’re searching for, don’t look past New Zealand. From the snow to the sea, our next-door neighbours have got the lot. Here are five working holidays you can experience in NZ. Have an undying love of the ocean and keen to get paid to hang with sea life? Why not have a crack at working as a diving instructor? There are plenty of places to go scuba diving or snorkelling in New Zealand, and some are looking for instructors to take charge – that’s where you come in. Obviously, the correct certification is needed for this type of job, but positions sometimes come up in the popular diving areas around New Zealand, like Poor Knights Islands or Fiordland National Park on the South Island. You can suss out recruitment sites like Seek and Jora for potential vacancies. By law, in Australia, you need to attain Responsible Service of Alcohol (RSA) certification before you can serve alcohol in licenced venues, but there are no such laws in New Zealand. Of course, if you do have experience behind a bar, you’ll have a competitive advantage, but it’s not essential. Arguably the best part of working in hospitality is that you’re bound to make new friends – if you’ve ever worked in hospo, you’ll know what we’re talking about. Everyone gets along, is super chill and you better believe your co-workers will be keen for a yarn over a cold one once your shift is over. For your best chance at snagging a bar job, apply just before the peak summer season, when venues are looking for new staff. But since there are so many tourist hot spots around NZ, chances are you’ll find a place looking for an extra set of hands. New Zealand is famed for its stellar ski resorts, and if you’ve spent any time at one (or drooled over a pic on Instagram), you know it’s the place to be come winter. Heading to ski resorts – like the ones in Queenstown – just before the winter seasons kicks off is the best time to find all kinds of work. If you’re already a confident skier, you can attain a certificate for ski instruction in New Zealand. The New Zealand Snowsports Instructors Alliance (NZSIA), has a number of different levels, running from Level 1 (teaching totally novice skiers) up to Level 3 (giving lessons to more experienced skiers) and a Trainers Certification. Plus, the qualifications are recognised worldwide. Not the greatest skier or snowboarder but still keen to call the slopes your office? There are plenty of customer service jobs at the resorts, meaning you can hang out in the powder and be close enough to the slopes to brush up on your snow sport skills on your breaks. Hostels are the favoured choice of accommodation among backpackers and tourists, and they’re always on the hunt for new staff. There are plenty of roles available, too, from cleaning to reception or even working in the hostel bar or restaurant. Again, your best bet of snagging a job is to apply before the peak summer and winter seasons as this is when businesses will be recruiting. You’ll be the first point of contact for excited tourists, which means you’ll learn the ins and outs of the city you’re calling home super fast and will meet a bunch of new pals on the job. Searching for a total departure from the hustle and bustle of city life? Farm work is just the ticket. Usually, no previous work experience is necessary for farm work and locals are crying out for extra sets of hands, especially during fruit harvest seasons. All you need to bring is a bit of fitness, enthusiasm, and a solid work ethic. You also have the added bonus of working on the land in the lushest and most naturally beautiful country in the world (block your ears, everyone else). That’s what we call a win-win situation. 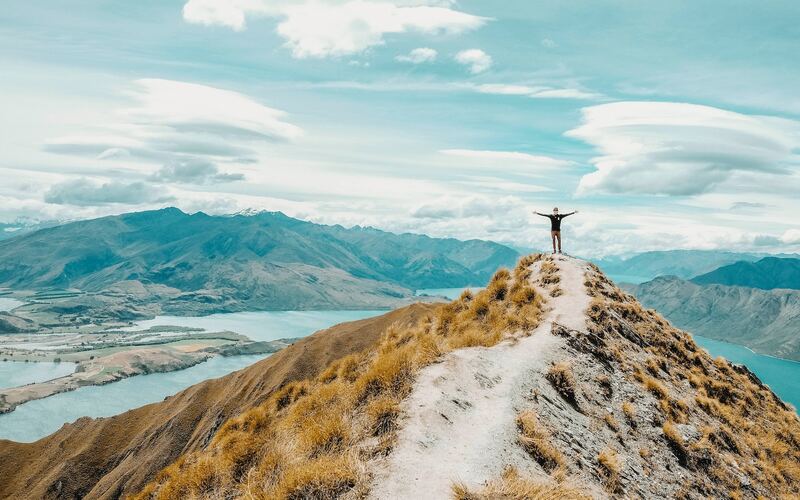 If you’re on the hunt for the perfect place for a working holiday, look no further than New Zealand.